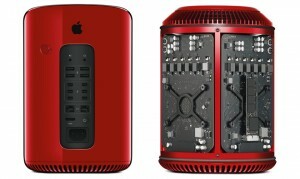 Apple’s $3,000 Mac Pro is already an expensive computer but a red version of it for the (RED) charity has sold for $977,000. The RED Mac Pro was expected to receive bids around $50,000 but when it came time for the actual bidding, the winner put up nearly $1 million. Even speciality computers built from platinum, gold, and diamonds have sold for less money than the RED Mac Pro. Of course, since this was part of a charity event, Apple also manufactured RED versions of its earpods which saw a winning bid of $461,000 even though they were expected to see no more than $25,000. 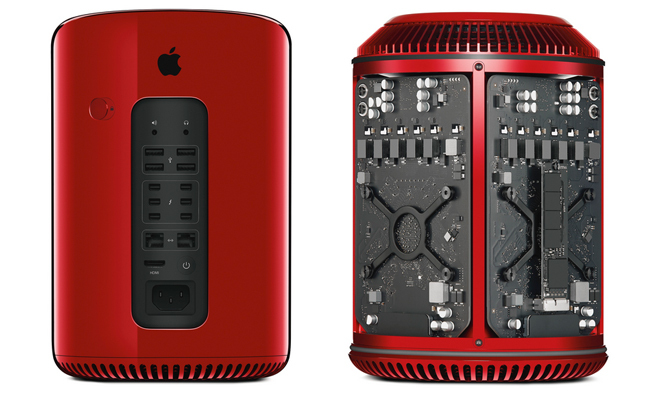 Jony Ive, the lead designer for many of Apple’s products, led the design team for the RED Mac Pro. The regular version of the device will not be coming out until next month, at which point it will retail for between $3000 and $4000. Since the RED Mac Pro was able to receive such an enormous bid, it is technically the world’s most expensive desktop PC, although it was sold for charity and not by a speciality manufacturer. Other products were at the RED event, such as a desk which sold for $1,685,000. Even the regular version of the Mac Pro is unique (in terms of design.) By no means do the Intel Xeon E5 CPU and dual AMD FirePro GPUs warrant a $3000 price tag. However, those components are packed inside a trashbin-shaped case which cools the components using a thermal core design and apparently that is where the computer gets its value from. The money raised from the sale of these RED Apple products will be going to help fight AIDS. Throughout the year, RED partners with various artists, companies and organizations, and has been working with Apple for quite some time, continuously raising millions from the sale of specialty Apple products.